Manav Rachna University Admissions Open Apply Now!! Chandigarh University Admissions Open Apply Now!! UPES University Admissions Open Apply Now!! Lovely Professional University Admissions Open Apply Now!! Bennett University 2019 Admissions Open Apply Now!! JCECE 2019 admit card will be released for all the candidates who are going to take the examination. The exam conducting board will be releasing the admit card after end of application form procedure. JCECE admit card 2019 is the most important document and should be carried to the exam Centre on the day of the exam. 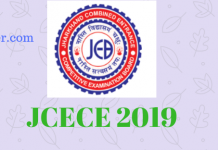 JCECE 2019 admit card can be downloaded from the official website as well as here. All the candidates who have filled and submitted the correct application form will be issued the JCECE 2019 Admit card. The admit card will be one of the most important document that you must carry to the exam center on the day of the exam. The JCECE Admit card will be available in the 4th week of May 2019. To download it, you will be required to enter your registration number and date of birth. JCECE 2019 Admit card will contain all important details like the name of the candidate, the exam center details like name and address and exam time and Date. Without the admit card, no candidate will be allowed to take the exam. If you are looking for admit card dates of JCECE 2019, check the table below and note them down on your calendar now. Sorry, You Are Not Eligibile. How to download JCECE 2019 Admit card? Candidates can read the procedure below to easily download the JCECE admit card 2019 and proceed to download the admit card. Go to the official website of JCECEB i.e. http://jceceb.jharkhand.gov.in. Click on download admit card button. The JCECE Admit card 2019 will be displayed on the screen. Check all the details on it and download. Take multiple printouts of the same. The Admit card of each candidate must have the following details. In case of any discrepancy, he/she must contact the board. In case the admit card of any candidate has a printing mistake or any other error/discrepancy, candidates must make sure to rectify the mistake. Candidate needs to send the application regarding the discrepancy in JCECE Admit Card 2019 to the below given address. Shiv Nadar University 2019 Admissions Open Apply Now!! The admit card if in any manner is damaged or lost will not be accepted on the day of the examination. Therefore, JCECE board will issue the facility where candidates will be able to download a duplicate admit card. Visit the official website and log in to the portal using application number and password. Click on the link to download Admit Card. 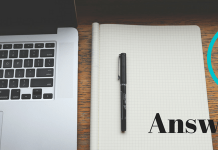 Enter required details asked to download Duplicate Admit Card. After entering correct details, click on submit. Check the entire details given in Admit Card. Download the admit card and take a print out of the same. You must make sure to carry all the below listed things to the exam centre on the day of JCECE 2019 exam. Any one government Id proof like Aadhaar Card/ Certificate of Madhyamik or equivalent examination which contain the photograph / Voter Identity Card / Driving Licence / PAN Card / Passport / Bank Passbook. The JCECE 2019 exam centres will be printed on the admit card. The exam will be held be in Ranchi, Jamshedpur, Dumka, Dhanbad, Hazaribagh, Bokaro. Candidates will be required to enter the exam centre preference while filling out the JCECE 2019 Application form. The Admit card will be available only in the online mode. There is no other way to procure admit card. Candidates must make sure that their admit card is error free when producing in the exam centre. Candidates have to mandatorily carry the Admit Card to the exam canter. The board will not entertain any candidate who does not carry the hall ticket on the day of the exam. Candidates should not get the Admit Card laminated. All students must check the details mentioned on the Admit Card. In case there is any discrepancy, they must send a hand-written application with the respective concern to the JCECE Board Office. Jennefer Reggie is a young girl from New Delhi. She has done graduation in English Honours from DU. Her interests vary from watching stand-up comedy and trekking to sitting with a coffee while reading a book. She says she laughs like a seal but she's mostly a normal girl with a poker face most of the time. Jennefer is an enthusiastic writer and currently working as an executive content writer. 3 How to download JCECE 2019 Admit card? UPES 2019 Admissions Open - Apply Now! HITSEEE 2019 Admit Card Released – Download Here! COMEDK UGET 2018 Answer Key, Result, Merit List and Counselling Procedure.